Despite the fact that human beings are supposed to be the most intelligent species on the planet, we are still capable of doing some pretty stupid things. Sometimes it’s because we simply don’t know any better, in other instances it might be because the reward is worth the risk and occasionally it is simply because we want to show off. Whatever the case, these dumb actions can not only lead to embarrassment but can also be incredibly dangerous, putting lives at risk. Yet someone did them anyway, as if they didn’t quite know how dangerous it was. 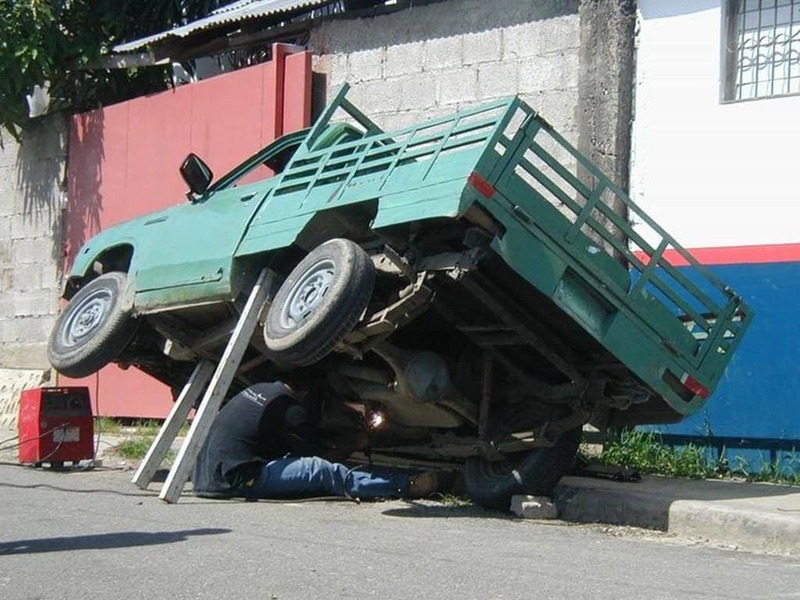 Maybe he should just have taken his truck to the garage rather than support the full weight of the vehicle on some rather flimsy looking wood. Oh wait, he has also put a rock next to the tire to stop it moving, making this plan completely fool proof. 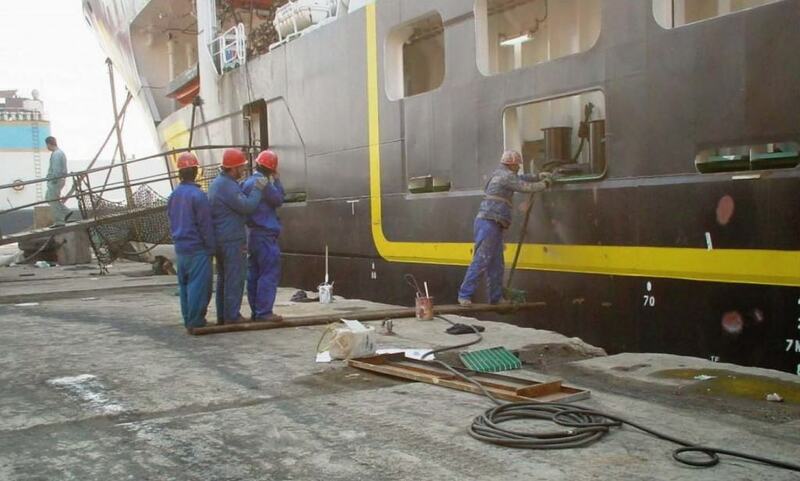 Surely there is a proper tool for filling up the ship? Even if there isn’t, the company could probably save money and just buy a big rock rather than pay three people to be a counterweight. Sometimes it just isn’t possible to fully close the boot of the car. 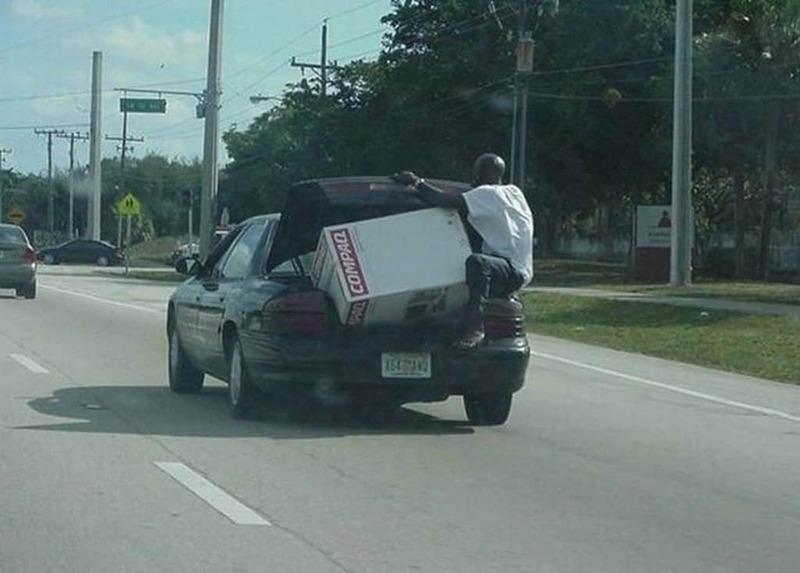 However, most people simply use some bungee cord or rope to tie it down rather than get a friend to ride the back of the car. 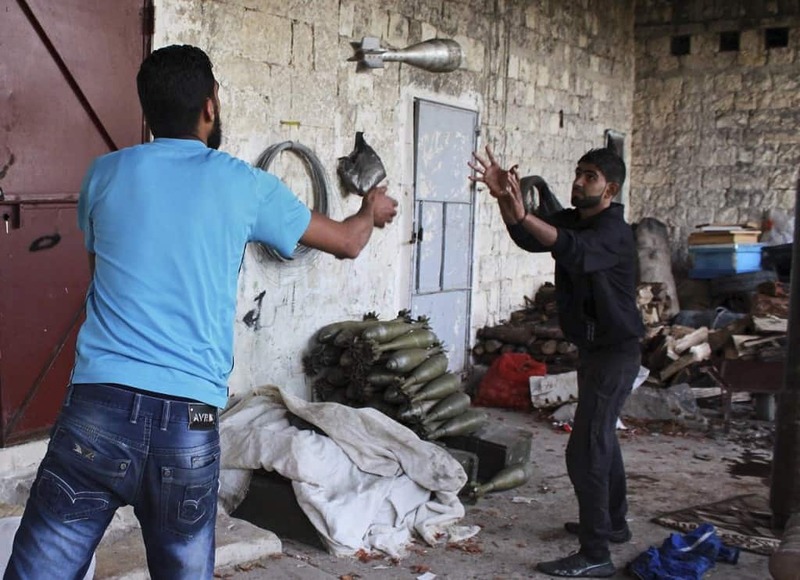 If you don’t have a baseball or anything else more appropriate to play catch with, then you could always try a mortar round. 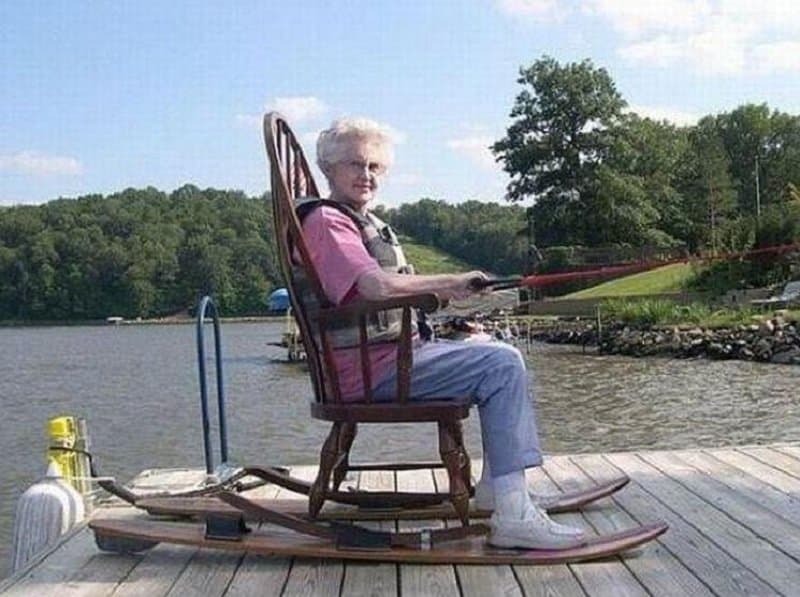 While there is definitely plenty of things that can go wrong in this picture, at least the woman had the sense to wear a life vest. 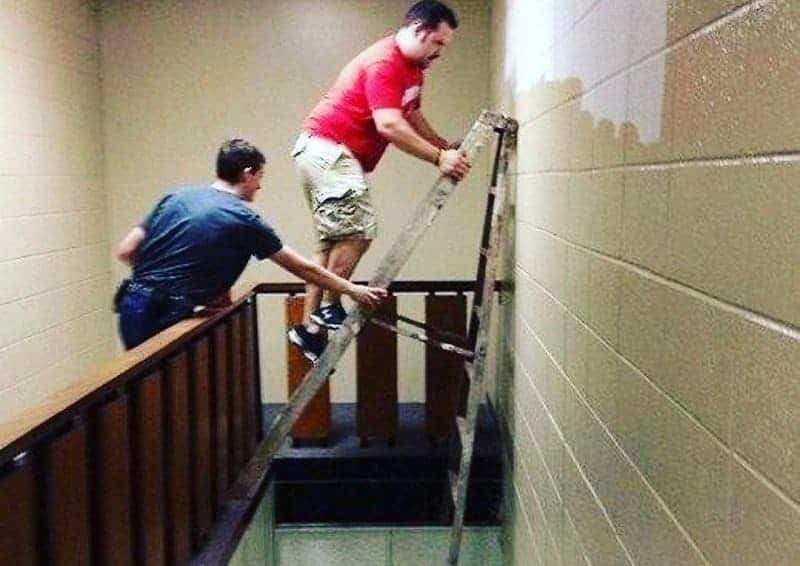 These two must have missed the health and safety seminar before starting this job. That or they work part time in the circus at the weekends and have perfect balance. There’s a reason that firefighters don’t use water when tackling electrical fires and that is because its likely to cause more damage and maybe even an explosion. 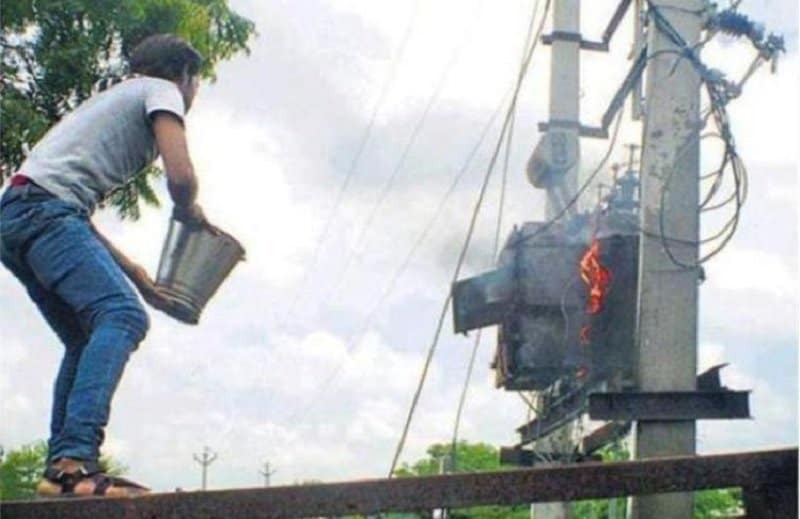 Not that it’s stopping this guy from trying to be a hero by putting out the live transformer fire. Sometimes the need to be able to drink beer and cook food in a relaxing swimming pool outweighs the immediate danger of being electrocuted. 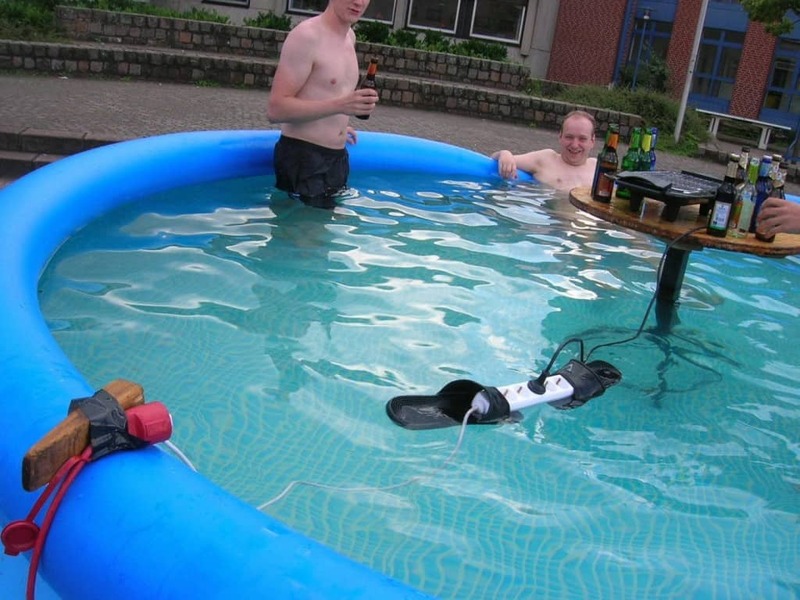 They could have at least used a more sturdy way of keeping the socket from sinking other than some sandals. 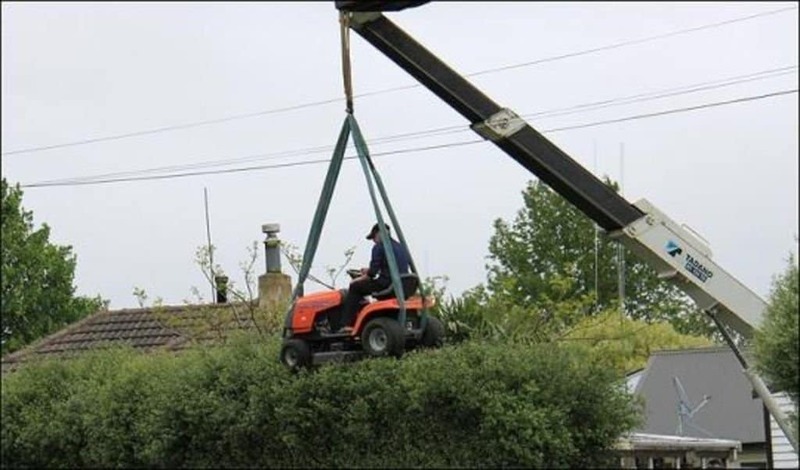 We are almost certain that this will void the warranty on the lawn mower and probably the crane too. Although it is less clear what the coroner would put on the death certificate. 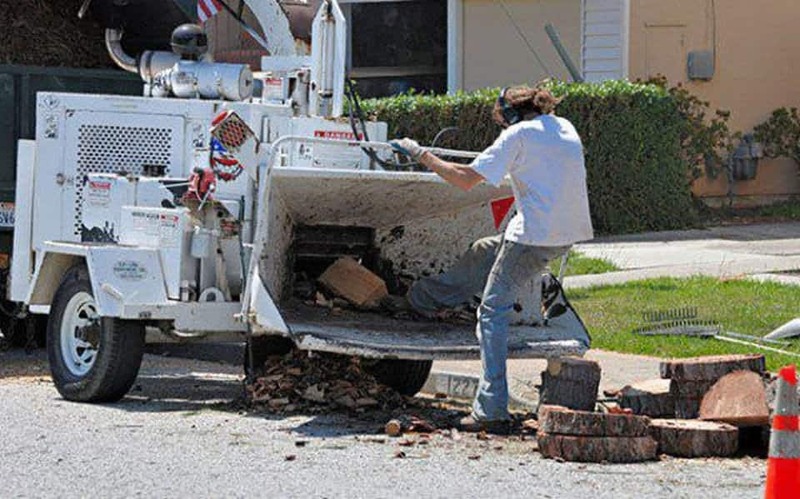 This fellow clearly hasn’t seen enough horror movies or gangster movies to know how good wood chippers are at crushing up a human body.